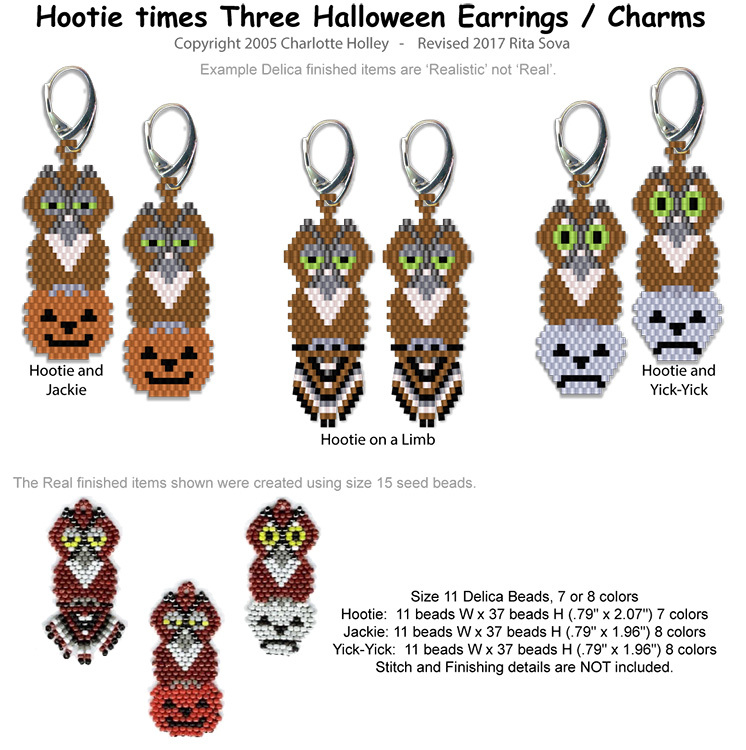 Mix and match the 3 Hottie Designs; Hootie on a Limb, Hottie & Jackie, Hootie & Yick-Yick (alas, poor Yick-Yick!). Designs are suitable for beading in any size seed or Delica bead and can be made in either Brick Stitch or Peyote Stitch. Design would make good earrings, charms, decorations, suncatchers or other ornaments. Pattern has been tested using size 15 seed beads, however the size 11 Delica bead colors have not been tested. 11 beads W x 37 beads H (.79" x 1.96").